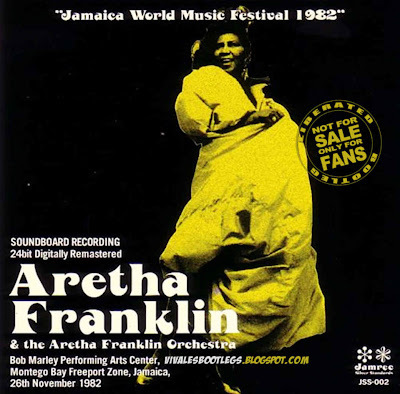 Recorded Live at Bob Marley Performing Arts Center, Montego Bay Freeport Zone, Jamaica - November 26, 1982. Files: 12.:: Size: 143.43 MB (mp3) / 325 MB (flac). 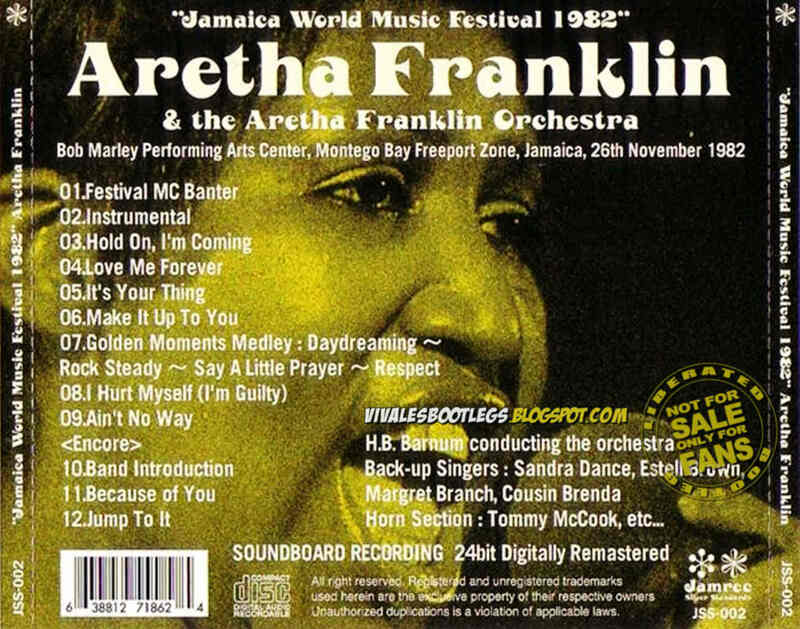 Personnel: Aretha Franklin :: Back-up Singers: Sandra Dance -Estell Brown - Margret Branch - Cousin Brenda :: Horn Section: - Tommy McCook etc. 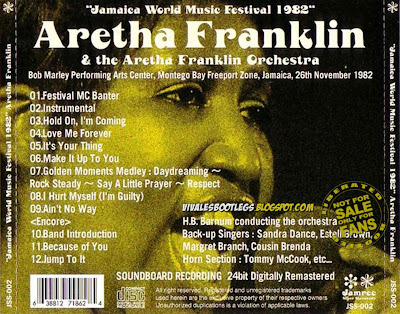 Notes: Soundboard Recording 24 Bit digitally remastered. 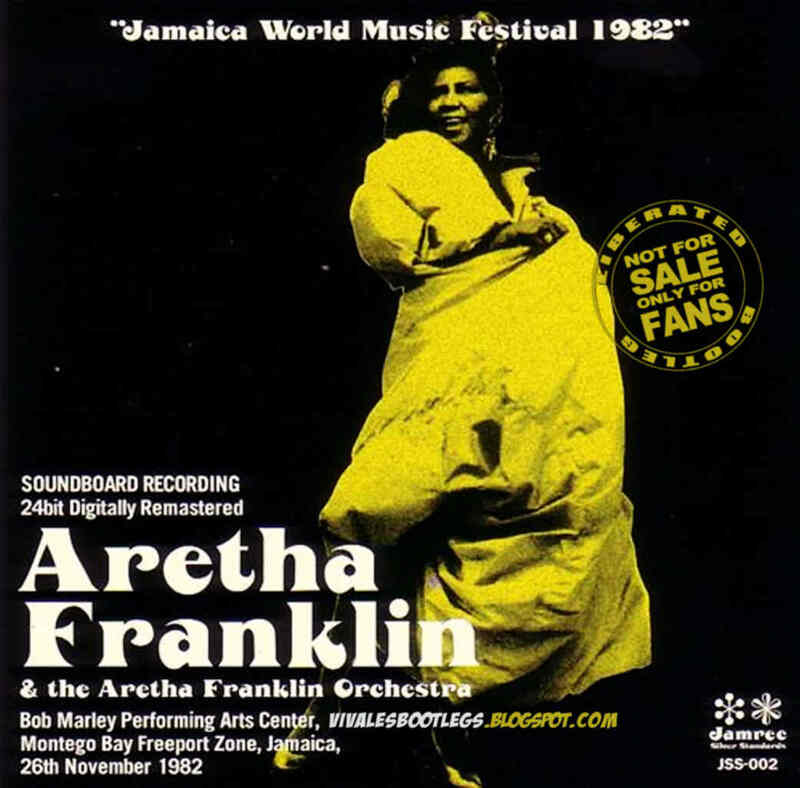 Aretha Franklin - Bob Marley Performing Arts Center Montego Bay Freeport Zone Jamaica at Jamaica World Music Festival . FM?>Boot Silver CD>EAC>WAV>FLAC.<-(Info taken from original info file).